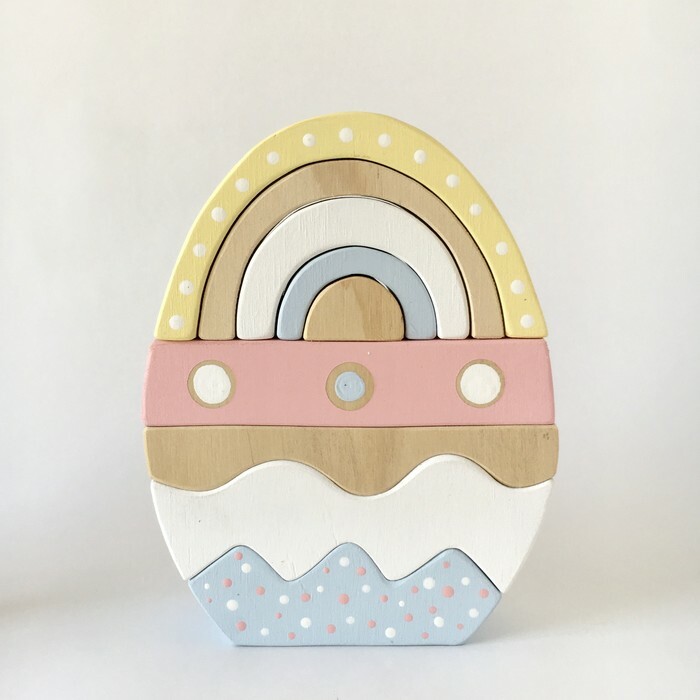 Wooden Eggs are made up with a rainbow on the top for added learning and fun making these eggs great for all year round as well as at easter. They are great fun for all ages. 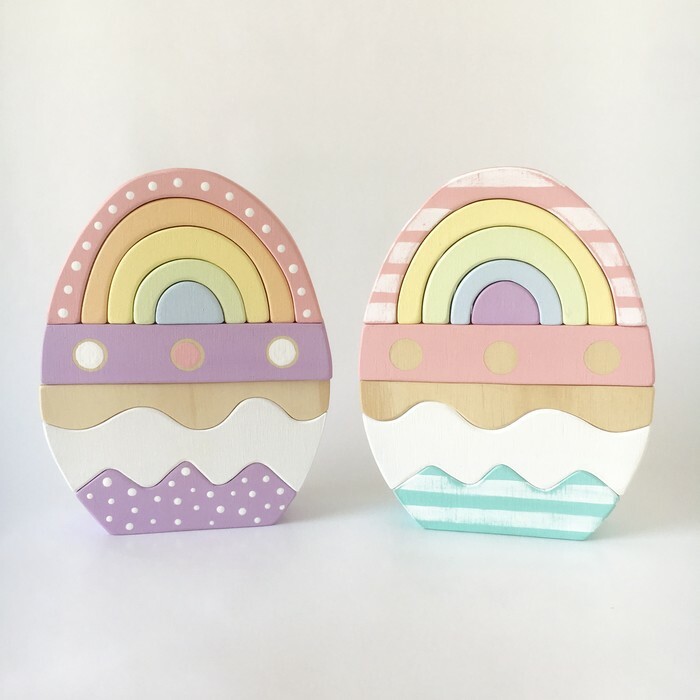 Eggs can be made up with the middle of the rainbow taken out to make it into a Easter basket. (see extra pics) They are great for learning colours, stacking, sorting, numbers and much more. 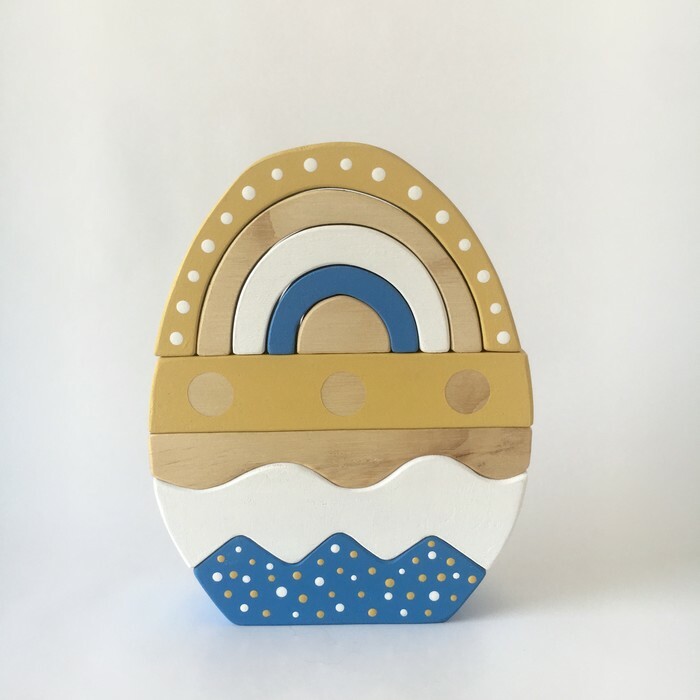 Wooden eggs are painted in a two colour combo with some pieces left as natural wood. You can change the painted pieces for a different colour. 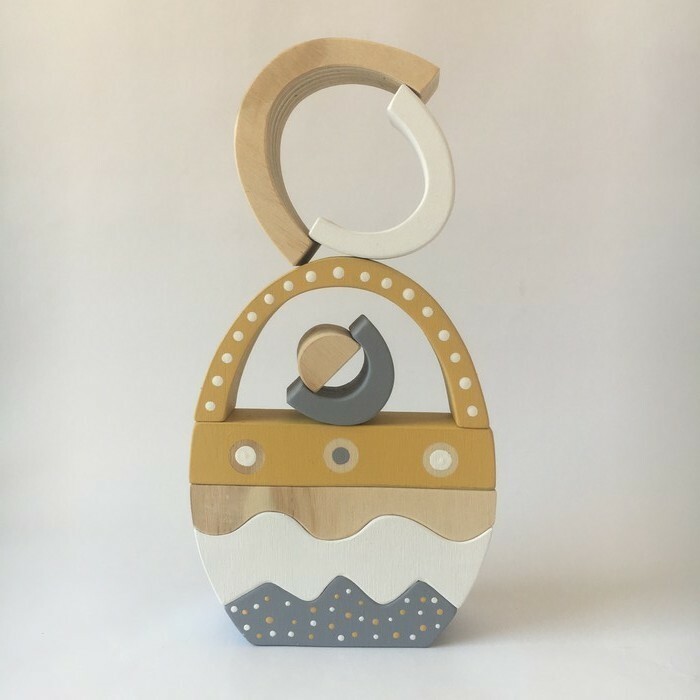 If it is a colour I already have it is free, If it is one I need to purchase it will be an extra $5 which you will need to add the 'CUSTOM COLOUR' listing to your cart also. 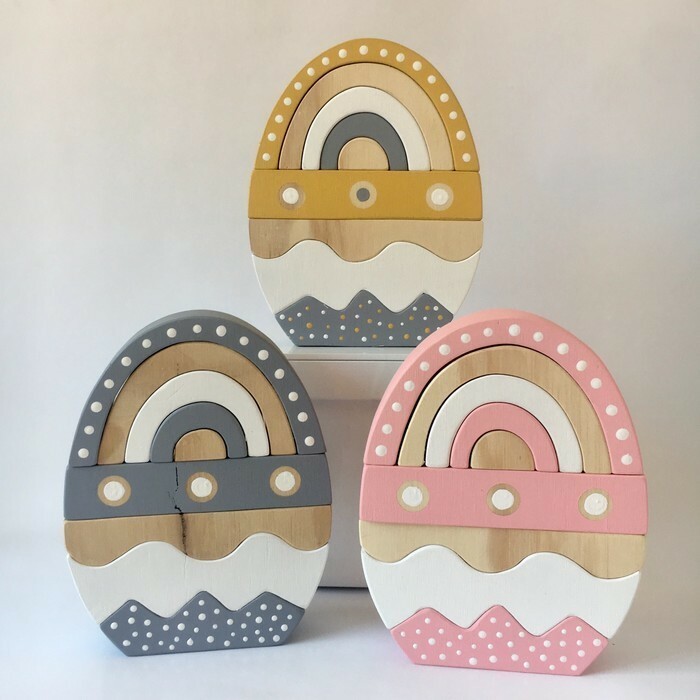 Wooden Eggs are cut out of plywood, sanded then painted with non toxic acrylic paint and finished with natural beeswax. ^ Postage cost below is calculated on weight of item and will be posted in a tracked satchel. 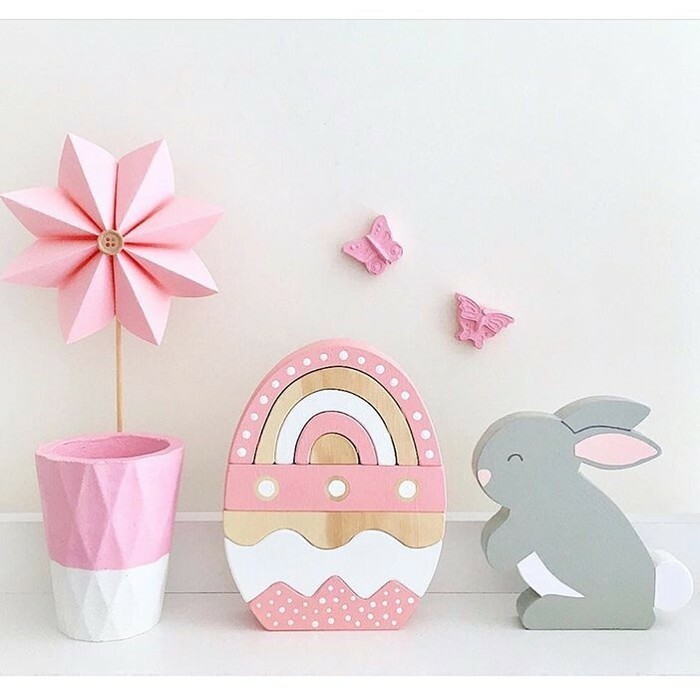 These are ROOM DECOR not intended as a toy! Not recommended if child is still putting items in their mouths. Whilst the paint is non-toxic and water based it is not advised to give to your child if you know they going to be chewed or sucked on.